As the Gordon Brown reshuffle continues, we bring you news of at least one non-political job-swap. 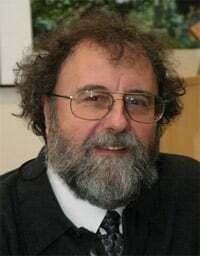 Defra (Department for the Environment, Food and Rural Affairs) has appointed Dr Robert Watson (pictured), a former aide to the White House on climate change, as its new chief scientific advisor. Dr Watson will take over from Professor Sir Howard Dalton in September when he comes to the end of his term of office and returns to the happy life of an academic. Watson is what you might call extremely (if not over) qualified. He has spent the last 11 years as a scientific advisor at the World Bank. Prior to that he lent his brain power to the president's office at the Clinton White House, and before that he headed up the science division, and laboured under the weighty title of chief scientist for the Office of Mission to Planet Earth at NASA. He also served five years on the board of the Intergovernmental Panel on Climate Change (IPCC), so he should already be reasonably familiar with Defra and its workings.